Which red shade is right for you? Exotic and enticing, red hair is one of the most sought-after shades. But red locks come with their own idiosyncrasies, and understanding the origin of red coloration and how to protect it will help anyone interested in a flaming shade preserve the beauty of their red style. Part of the allure of red tresses is its rarity: red is found in less than 4 percent of natural hair colors throughout the world. The majority of redheads are concentrated along the edges of both eastern and western Europe, most notably in Scotland, England, and Ireland; countries that have become easily associated with flowing auburn and ginger tresses. 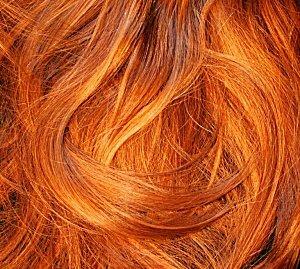 In the United States, less than 2 percent of individuals have naturally red shades of hair. The exclusivity of red is due to its genetic makeup: the red chromosome for hair color is a recessive gene, meaning that an individual must inherit the gene from both parents in order to have red locks of any shade. Furthermore, a weak red gene can easily be overpowered by a dominant brunette or black hair gene, eliminating even the hint of red highlights. 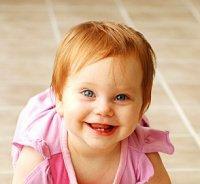 Redheads have other genetic traits related to their hair color. Red is found predominantly on individuals with very fair skin who are typically more sensitive to ultraviolet radiation, meaning they sunburn easily, and their hair may also need additional radiation protectants. Each individual red strand is thicker than its blonde, black, or brunette counterparts, but redheads typically have up to 30 percent fewer strands on their heads, making hair loss and thinning a potential concern. Individuals who are not among the elite few natural redheads can easily color their hair to any conceivable shade of red. While natural-looking shades are the most popular, vibrant and outrageous red hues are also sought-after, particularly for punk or emo styles that emphasize unique colors.When choosing to dye hair red, be sure to consult numerous photographs to discern which shade would look most appealing. This is especially crucial if working with a professional stylist who may have a different interpretation of what different shades – ginger, auburn, rust, burgundy, copper, etc. – may look like. Another consideration when choosing a red dye shade is skin color. A very subtle red or simple highlights may not be noticeable in very dark hair or against darker skin, while a brighter shade may stand out too much on individuals with fair skin. Virtual style programs can help individuals determine which shades may best complement their complexion. Red hair darkens over time. Using moisturizers and sunscreen formula shampoos and conditioners to protect against excessive radiation. Consider natural hair care techniques that will stress hair less to avoid breakage or other problems that may increase hair loss. Remember that red hair gradually darkens over time; choose products with natural brighteners to maintain a vibrant shade for a longer period or opt for blonde or other light highlights. 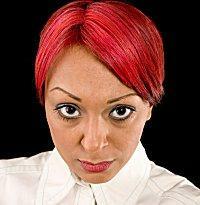 Red dye fades fastest and using color-formulated hair products (shampoo, conditioner, gel, etc.) is essential from the start to maintain the shade as long as possible. Avoid excessive dyeing or other harsh chemical treatments that could severely damage hair, no matter what its natural color. Whether you have naturally copper tresses or choose a fiery shade of dye, red hair is consistently popular and desirable. With proper care to preserve the color and keep it looking vibrant, it is possible to maintain auburn locks with relative ease, giving that exotic and mysterious touch of red to any shade.